Two new kit arrivals for a busy Middlesex grounds team are saving up to five working days a month. 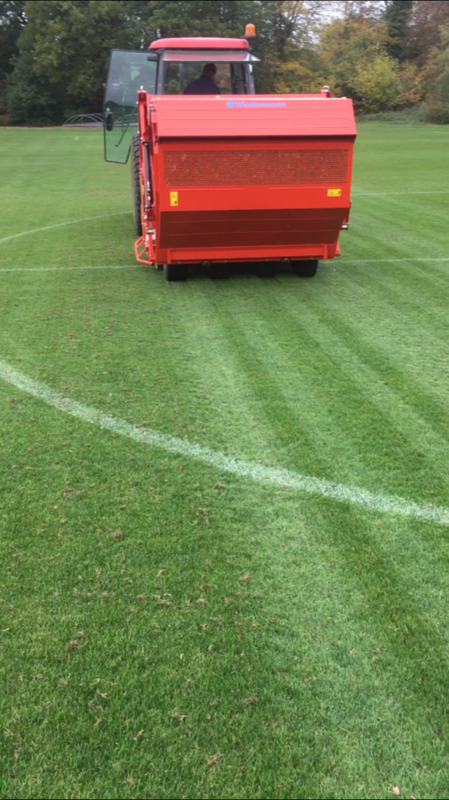 The Wiedenmann Terra Spike GXi8 HD and the Wiedenmann Super 500, delivered in October, are significantly reducing time spent on aeration, collecting and scarifying. 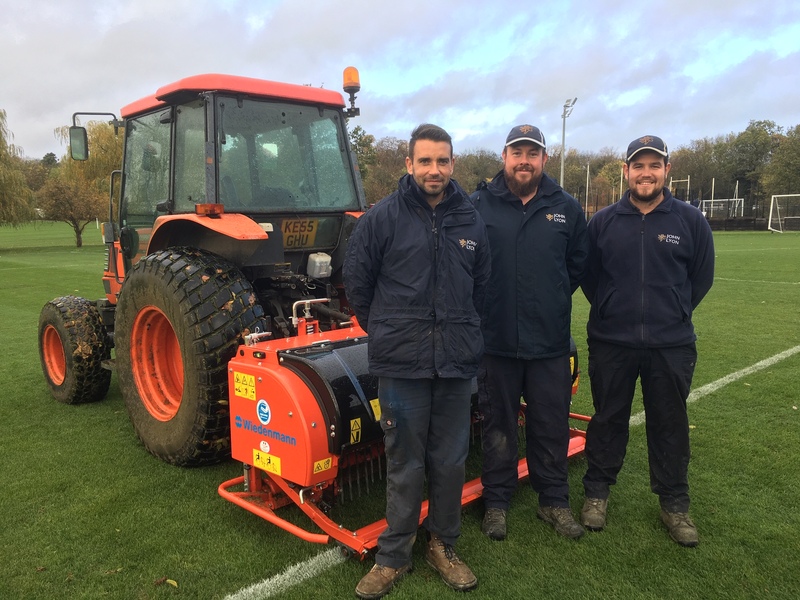 Chris Lynch, Grounds Manager at John Lyon School, Harrow-on the-Hill and his two assistants, Mark Chandler and Joe Naughton now have breathing space to tackle different projects. The site, at Sudbury Fields in North West London, has four full size football pitches, three junior size pitches, 4 training zones and three cricket squares. On any given afternoon up to 200 pupils and PE staff from the independent boys’ day school, make full use of the playing facilities. “Other than our 1st team football pitch, each pitch and training zone can get used up to nine times per week,” said Chris Lynch. “With our previous aerator, we could expect to cover all 28 acres, minus the cricket squares, in five to six working days. Now with the GXi8 HD, the sports fields with the cricket squares included can be done in less than three days. The Terra Spike will run at least once every three to four weeks, typically, September through until April or May. 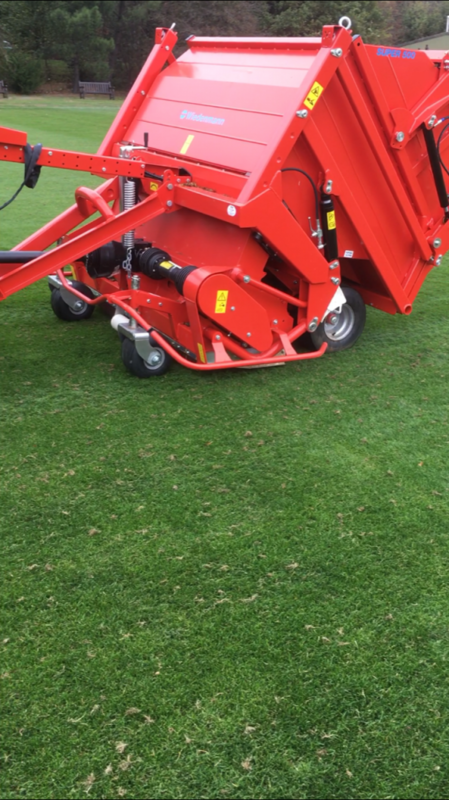 “On 20 mm tines we will comfortably get down to 250 mm as no complex pipework lies beneath any of the pitches. The Terra Spike will not only help repair and replace levels but keep air and water moving through the profile,” continued Chris Lynch, who took up his role 2.5 years ago after a 15 year spell at The Harrow School. “For me the Terra Spike is the easiest machine on the market to use. Its set up is really simply. If you are not happy with something it’s a small quick adjustment to the depth or the heave. Wiedenmann’s Super 500 is a three-in-one sweeper, collector, scarifier known across the industry for its versatility and 2.5 m³ capacity. The John Lyon team has seamlessly incorporated the Super 500 into their weekly routine. “We have the largest collection of oak trees in the neighbourhood and need to lift leaves before they contaminate the turf surface so the Super 500 is out on Mondays, Wednesday and Fridays. We cut on Mondays, Tuesdays and Thursdays and mark everything on Fridays, weather dependent of course” explained Chris Lynch. Area Sales Manager, Grant Buckingham, from Wiedenmann UK dealer, Ernest Doe & Sons, at Esher, was on hand throughout the sales process. The John Lyon School was founded in 1876 for the education of local boys by the Governors of Harrow School, in keeping with the wishes of John Lyon, the founder of Harrow. Now it takes 650 pupils with sport being central of importance. In particular the school has a tailored sports mentoring programme which helps nurture and develop elite sports performers and selected sports scholars.